Nowadays, it seems like art shows have become less about the art and more about free booze and with whom you can schmooze. Many millenials have forgotten that art is an important part of society and culture and even our own personal development. With social media saturation, it can be hard to see exactly what art is truly deserving of some one-on-one time. We spoke with three Brooklyn-based art babes about their current projects and their general thoughts on the art world. Juliana is an artist and designer, coming from a film and fine art background; she works in production, design and animation. To find out more about Juliana, you can visit her here or here. Paste:Tell us about your most recent project. Juliana: I am currently working with mannequins on a brand-new project that I’m very excited about. I photograph myself (or a model) posing—making goofy faces, laughing, crying, etc. These photographs are then projected onto a mannequin, sometimes matching the facial features up correctly, sometimes slightly askew. These mannequins with the projected images over them are then photographed, printed, and laid out on wood panels or canvas. Some of these images will be transformed into sculptural pieces with a few different layers of wood, while others will be mixed media—the mannequins cut out on a separate layer and laid over backgrounds that are created with paint and pastel. The idea with this project was to use plastic to explore the body as a vessel. To explore projecting a personality on borrowed things, such as our body, and how often the vessels we are given can’t contain our inner selves entirely (specifically in the instances where the projected photograph spills over and off of the mannequin, onto the background). Paste:Your project, Mancounters is a very relevant look at how men interact with women/gay men nowadays, how did this idea come to life? Juliana: My good friend and I are both involved in the design world—I work with motion graphics and design during my 9-5 job, she is a website designer. Using both our art and digital skills to create digital collages, we reenact the crazy things that we have had guys say to us and our submitters in real life. We initially started with quotes from friends but it has since opened up to followers on both instagram and twitter which is very exciting. Currently these collages post weekly but we are working towards posting daily quotes as well, and perhaps expanding to quick clips/moving images. Paste: Where do you turn to for inspiration? Juliana: Weird films, reading a lot, dreams. Paste: Where is your favorite place to see art? Juliana: Chelsea. Spending a whole Saturday, seeing a bunch of galleries. I just saw Richard Serra at Gagosian and it made me feel small but also blew my mind open at the same time. Paste: Where do you want to take your projects in the future? Juliana: Possibly shooting videos of couples kissing, touching one another on loop and projecting them onto two mannequins side by side, to see the spill off. 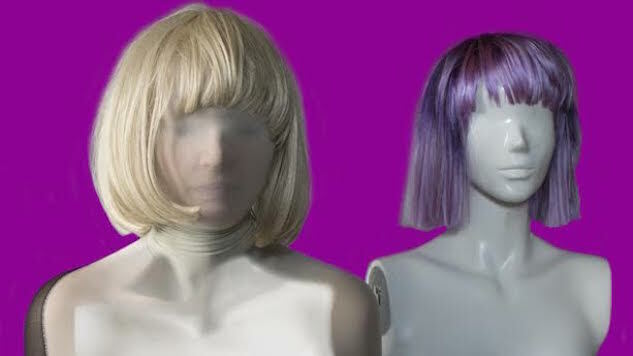 I would also like to explore gender identity, projecting females onto male mannequins and vice-versa. That will be a bit trickier though as I want to make sure it’s done correctly, with a lot of research, since I cannot identify directly with those feelings myself. Paste: Advice to those interested in art, but feeling kind of shy? Juliana: Make as much as possible. You don’t have to show your art right away or blast it on social media. Show when you are ready. MadmFia hails all the way from Sweden and currently resides in Brooklyn. She works mainly with oil and charcoal, often playing with photo transfers as well. Fia’s work relays stories and sentiments that are unique to each viewer. Find out more about her here or here. Paste: Tell us about your most recent project. MadmFia: I am currently working with landscapes, in particular a photograph I took of a landscape by my studio in Sweden. I have been reusing this image with different colors and methods. Just how a scene changes depending upon time of day or even with mood, I want to explore how many different ways there are to see the same thing. I also work with photo transfers that are eventually destroyed through the process that leads me to the abstraction. This is much more personal to me because of the journey I had to take to get there. My work always deals with the notion of pareidolia: seeing faces where they were not intended. Hence, every completed piece has a story to tell that is unique to each individual. Abstraction and realism are parallel to me. They both deal with composition, color, and form and both tell a story, just one is more obvious than the other. MadmFia: The things around me, the sky, patterns in branches, cracks in sidewalks. Seeing faces where the don’t exist; sort of a secret message to the viewer. Paste: What is your favorite place to see art? MadmFia: Hauser & Wirth, especially the one in LA. The New Museum has a lot of great exhibitions. Sargent’s Daughter shows really nice work, blurring abstract and realism, which I am a big fan of. MadmFia: Go bigger, bolder and simplify. I like using social media to gauge social reaction. I aim to find a balance and be able to sift through ideas to find the gold. MadmFia: There are so many shows going on all the time. I would recommend checking out art cards.cc, and these apps: NYArtBeat and Seesaw. But if that’s too much work, just walking around Chelsea on a Thursday night will lead you to plenty of open doors. Perhaps you’ve heard of a little Internet file known as a GIF? Thoka Maer is an illustrator who creates animated illustrations. She works with pencils and crayons first, then incorporates movement digitally. You find out more about her here and here. Paste: You do many commissions; tell us a little more about your drive to add animation to your illustrations. Thoka: I don’t see the movement of the image as an embellishment but rather as adding another layer of information to the piece. I have always been of the mindset that after I think of the message I want to send out. I think about the right way to do it, even if it means leaving my comfort zone as an artist; for example I once made an interactive installation, which is nothing I can use for my portfolio but was the best way for that specific project. Since the beginning of time, art has been meant to give the viewers emotions, feelings, show them something new, tingle the sense. New media is important for artists to explore to tell their stories and make a true social impact. Real art always starts an important conversation. Paste: What project are you currently most proud of? Thoka: What happens everyday. Reading a lot because reading forces thought and imagination more than watching a film, since word in fact lack the emotional and visual level. I go to museums mostly to enjoy and be impressed what previous societies and people have accomplished, which sometimes opens a different window on seeing the world. Reading is really the most inspiriting as you can find your own way to express yourself with your own tools and find the most effective intriguing way to get your message across. Thoka: The Met and The Natural History Museum. I also love seeing art out and about, I like to take snapshots of colors when I see beautiful color combos such as the light reflecting through trees on the corner of a house. We don’t often really see the colors in our everyday life. Thoka: I would like to try out working in design research. Using my drawing skills to draw out abstract ideas and combine that with being a problem solver. Thoka: To do art, there needs to be no question inside of yourself, you just do it. You are very likely super humble and utterly insecure about it but you still do it, then you’re an artist. Any person who has a high amount of dedication in their field, even if not by default perceived as a creative one, maybe, can be considered an artist. It’s about creating and not caring about the rest. Just letting it all out, in any form such as a coder, a programmer, a florist. Having the passion behind it with the willingness to dedicate it all to deliver your message through your work.